The dispute over the conversion to Islam of a Kalash girl was resolved on Friday as the 14-year-old recorded her statement before a judicial magistrate saying she converted out of free will, a government official confirmed. 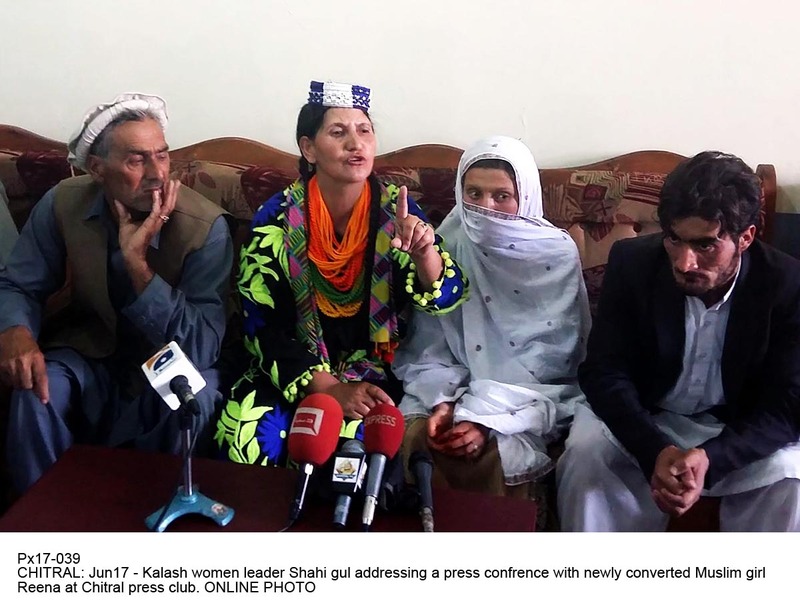 On Thursday, the girl’s decision to convert sparked a clash between the Kalash tribe and members of the Muslim community in the Bamburate Valley of Chitral district, forcing police to use teargas to disperse the mobs. The dispute started apparently because the girl backtracked on her conversion, and the Muslim community accused the Kalash tribe of forcing her to do so. Deputy Commissioner Chitral Usama Warraich along with his staff reached the valley on Friday and convened a jirga of elders from both sides. Waraich said that the jirga thoroughly discussed the issue and both sides agreed that the girl’s statement will be final and they will accept her will. He said that the administration shifted the girl to Chitral town and presented her before a judicial magistrate. The girl recorded her statement before the magistrate, “saying she was not forced by any community to convert to Islam,” said the deputy commissioner. He said the girl’s family and the Kalash community accepted her statement. “It is now up to the girl whether she lives with her Kalash family or the Muslim community,” he said. Usama said that the district administration and police are investigating causes of the clash and have registered a First Information Report (FIR). If any person in the world regardless of his/her religion, wants to get good and true understanding of ISLAM and other religions, he should listen the Lectures of Dr. Zakir Naik from Youtube. Some Example links is here. Hope he/she can made a sense whether he is following the true faith or religion or not .